The delicious taste and aroma of Absinthe flavoring keeps your drinks flowing all the time. Absinthe flavor delivers an amazing refined herb taste with a note of anise that leaves your taste bud arching for more. 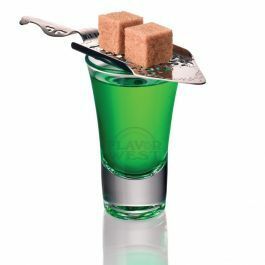 Type: Absinthe Water Soluble Flavoring. Ingredients: Natural and Artificial Flavoring, Propylene Glycol, Ethanol and Water. Usage Rate: 15-20% for E-use. Confection Rate 0.25%-0.50% Flavor suitability: Food, Drinks, beverages, candy and more. Specific Gravity: .99 No Refunds on Flavoring.